Take 10% off Laker Game Tickets order! 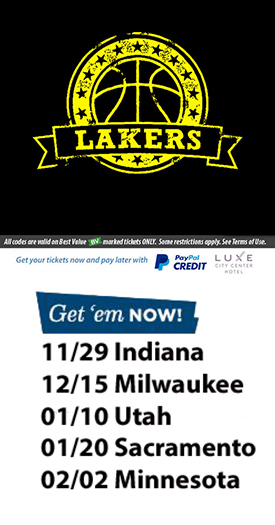 Take 10% off Laker Game Tickets listed below! Steal 10% off Laker game tickets at the Staples Center marked BV for the Laker games listed below! 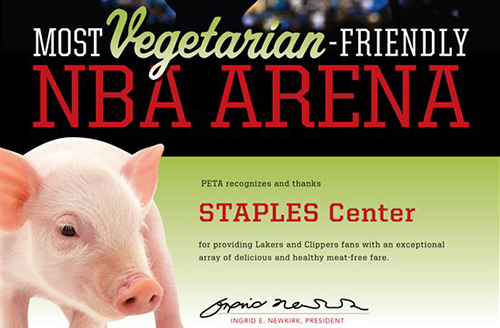 Your chance to save and see what might be Los Angeles Lakers Super Star Kobe Bryant’s last NBA season. Use the promotional code MAGIC10 at checkout to save 10% off your order! This promo code has expired, click to see the most current Lakers tickets promo codes. The Indiana Pacers forward Paul George is averaging 25.3 points per game as well as 8.6 rebounds per game. Guard George Hill is nailing a 45.3% three-point field goal average. Paul George is also ranked 6th in the NBA for the 2015-16 regular season points leaders. The Milwaukee Bucks forward Giannis Antetokounmpo is dropping 18.4 points per game. Bucks Center-Forward Greg Monroe is pulling down 9.6 boards a game. Monroe is also averaging 16.6 buckets a game. Utah Jazz Forward-Center Derrick Favors is bringing is 16 points per game average to the Staples Center while Center Rudy Gobert is averaging 11 rebounds a game compared to his 9.5 per game last season. Sacramento Kings DeMarcus Cousins is averaging 27.5 points a game which is just above his 24.1 points per game average last season. Cousins is also leading the Sacramento Kings pulling down 11.1 rebounds a game. Minnesota Timberwolves Guard-Forward Andrew Wiggins is scoring an average of 21.5 points per game. Big man Karl-Anthony Towns the Timberwolves Center is has a 10.7 average of rebounds per game. Guard Ricky Rubio is averaging 8.6 assists per game as well as 2.1 steals. This could also be the last season for Forward Kevin Garnett. Don’t miss any of the Purple and Gold in action! Barry’s Tickets offers the largest physical selection of Laker Game Tickets at the Staples Center all 100% guaranteed to be authentic tickets and delivered on time even if you order just minutes before tipoff. 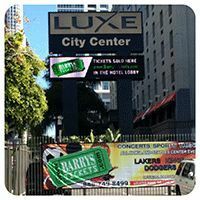 Barry’s Tickets offers Laker game tickets for all games on the Lakers schedule at both the Staples Center and on the road. Barry’s Tickets offers free pick up of tickets at any one of our Los Angeles offices. Barry’s Tickets may change, add, suspend, cancel, remove or otherwise modify the services, contests or promotions offered by Barry’s Tickets and Barrystickets.com at any time without prior notice. In the event that any changes are made, the revised terms and conditions shall be posted on this website. Please check the latest information posted herein to inform yourself of any changes. Barry’s Tickets is not affiliated with the Los Angeles Lakers or the NBA. All Los Angeles Laker game tickets are 100% guaranteed to be authentic seats and delivered to you on time even on game day. Some restrictions may apply. 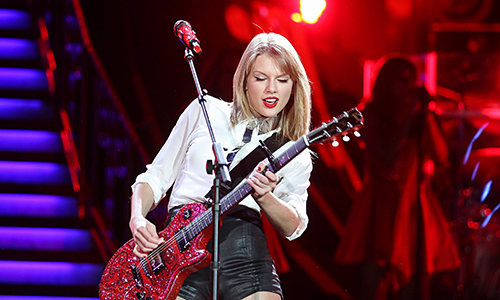 Barry’s Tickets has your Los Angeles Concert Calendar to the hottest upcoming concerts from the smaller venues such as the Microsoft Theater to the Staples Center and everywhere in between. Checkout our Los Angeles concert calendar and use our special Barry’s Tickets discount code to save on tickets. All tickets are 100% guaranteed authentic and delivered to you on time even if you choose free pick up! If you don’t see the event your looking for on our Los Angeles Concert Calendar feel free to checkout all concerts coming to Los Angeles. All tickets are 100% guaranteed to be authentic and delivered to you on time. 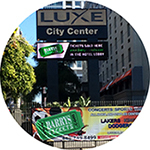 Barry’s Tickets Los Angeles Concert Calendar discount code is good through November 30th 2015! Barry’s Bucks and other discount offers cannot be used with simultaneously with this offer. Rose Parade January 1st 8:00am A staple in Pasadena for over a 100 years the New Years Day Rose Parade is a must see at least once in your lifetime. This year’s Rose Parade will mark its 126 year and the theme will be “Inspiring Stories” and for two hours on the Rose Parade route there will be magnificent floral floats, amazing marching bands as well as high stepping equestrians. The Rose Parade route is 5 ½ miles and starts at the corner of Green Street and Orange Grove and concludes at Villa Street. You can also view the floats early starting Dec 27th at 12:00pm. View Rose Parade Tickets. Curbside viewing of the Rose Parade is also available on a first-come first served basis. You can learn more about curbside viewing. Wicked the Musical at the Pantages Theater through January The winner of over 100 international awards including a Grammy and three Tony awards has returned to the Pantages Theater through March 15th. The 2 hour 45 minute Musical of how the Wicked Witch of the West and Glinda The Good meet. Wicked the Musical is recommended for children 8 and up and has showings Tuesday through Sunday with Matinee performances on Wednesday, Saturday and Sundays as well. View Wicked Tickets for all dates at the Pantages Theater. Walt Disney Hall through January The LA Philharmonic, Itzhak Perlman, Anthony Neman and much more the Walt Disney Hall has something for everyone as the home of the Los Angeles Philharmonic brings the best in classical music, contemporary music, world music as well as Jazz. View all Walt Disney Hall concerts. Cavaliers at the Lakers Staples Center Jan 15th It’s been over a year since the two future Hall Of Famers have played against each other and seeing Kobe Bryant and Lebron James on the court at one time is every basketball diehards dream. Besides two of the biggest stars in the NBA the Los Angeles A-list celebrities will be out in force to watch the Cavaliers and Lakers tip off at 7:30pm. 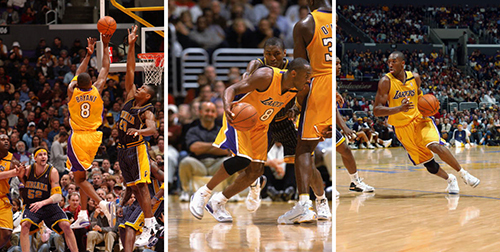 Click to view Lakers vs Cavaliers Tickets at the Staples Center. Cavaliers at the Clippers Staples Center Jan 16th Lebron James and Kevin Love head the new look Cleveland Cavaliers as they take on the Los Angeles Clippers for their Los Angeles appearance against Blake Griffin and Chris Paul during the regular season. If you’re a Lebron James fan or Cavaliers fan Clippers vs Cavaliers tickets are a cheaper option to see them play then when the Cavaliers and Lakers play. 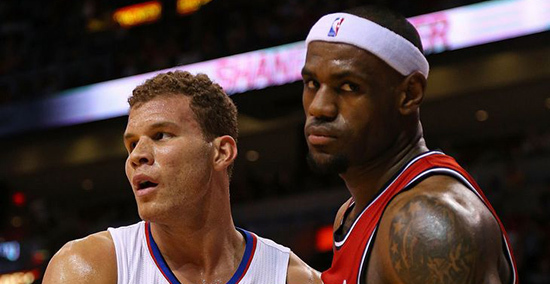 Click to view Clippers vs Cavaliers Tickets for the Staples Center. Ducks at Kings Staples Center Jan 17th Kings and Ducks rivalry games are a hockey lover’s dream. During rivalry games the action really heats up and with no love lost between the Kings and Ducks this game is sure not to disappoint. The Los Angeles Kings will honor Rob Blake and retire his jersey. View Ducks vs Kings tickets at the Staples Center. Blackhawks at Kings Staples Center Jan 28th The Blackhawks return for the second time this season and after losing 4-1 in their first meeting at the Staples Center on November 29th the Kings will be looking for revenge. When the Blackhawks come to town the sea of red jersey’s in the crowd at Staples is pretty stunning. 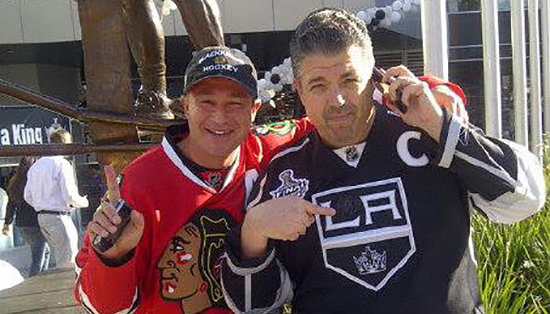 The Blackhawks and Kings have traded off the Stanley Cup the two seasons and with the rivalry, the rich tradition of the Blackhawks and the large amount of Chicago transplants in Los Angeles makes the Kings vs Blackhawks game a very big event. View Kings vs Blackhawks tickets for the Staples Center. Sam Smith at the Forum Jan 29th, 30th The London born Pop and Soul singer-song writer who’s Oct 2012 break though single “Latch” peacked at number 11 on the UK singles chart and “Stay With Me” which became an international success reaching number two on the US Billboard charts as well as being nominated for six Grammy Awards including Best New Artist, Song of the Year and “In the Lonely Hour” for Album of the year will be performing two nights at the Inglewood Forum on January 29th and 30th. View Sam Smith tickets for this concerts at the Forum. Bush at the Wiltern Jan 31 The 90’s rock band Bush with heartthrob lead singer Gavin Rossdale will be performing at the Wiltern Theater on January 31st. with such hits as Everything Zen, Comedown, Machine Head and of course Glycerine it’s a great chance to step back in time and hear some classic 90’s songs as well as the concert being in Los Angeles you never know who might show up on stage with Gavin and the boys. 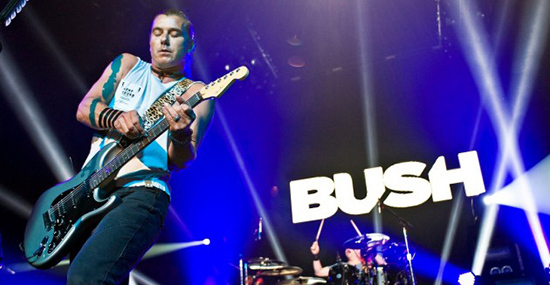 Click to view Bush Tickets for the Wiltern concert. With United States soccer fans energized by this year’s world cup and the strong United States performance, passion for the world’s game is at an all-time high in the United States. While much of the country has taken years to build a passionate soccer fan base, Southern California has long been a hotbed for the “beautiful game”. Long-time soccer fans and those new to the will have a fantastic opportunity to see one of the most respected coaches in the world, and some of the most famous players in the world, compete at the Rose Bowl on July 23 when Manchester United takes on the LA Galaxy. This week the Galaxy released new details on the long awaited event. Although Manchester United’s full travel roster has yet to be released, the majority of their superstars should be in attendance at the Rose Bowl. One of the most recognizable sports franchises in the world, Manchester United will bring a roster to Southern California that includes Wayne Rooney, David De Gea, Shinji Kagawa, Juan Mata, Javier “Chicharito” Hernandez and Antonio Valencia. In addition to the established superstars, newly signed Ander Herrera and Luke Shaw will also be part of the traveling squad. Manchester United will also debut a new manager, current Dutch National Team manager Louis van Gaal. The veteran manager is one of the most respected managers in all of professional soccer, having just led Holland to a World Cup semifinal, where they lost on penalty kicks to Lionel Messi and Argentina. He’ll begin his tenure as Manchester United manager, replacing the sacked David Moyes, who managed United to a disappointing season in 2013-2014, failing to qualify for the UEFA Champions League for the first time in several years. Moyes replaced the legendary Alex Ferguson, considered one of the greatest managers in the history of the sport. Van Gaal will have big shoes to fill, as did Moyes, but he’ll have a motivated roster looking to regain United’s customary spot in the Premier League standings. Leading the way will be Wayne Rooney, one of the most recognizable stars in world soccer. Rooney had a short spell in Brazil this summer as part of a disappointing English National Team that failed to make it out of the group stage of the World Cup. In ten years as a Manchester United player Rooney has scored 216 goals. Rooney will be joined in the lineup by high priced signee Ander Herrera, who United paid 28 million pounds for this summer, and young left back Luke Shaw, who United made the highest paid teenager in world football this summer for a fee rumored to be around 30 million pounds. Shaw has an attacking style and has been compared to former Tottenham and current Real Madrid superstar Gareth Bale. After a slow start the Galaxy are on a solid run of play, unbeaten in six consecutive MLS matches. When the Galaxy face off with United their lineup will feature two players familiar with many on the Manchester United Roster, Robbie Keane and Landon Donovan. Former United States National Team member Robbie Rogers and current National Team defender Omar Gonzalez will also take part in the big matchup. The Galaxy are coached by former National Team coach Bruce Arena. The game will kick off at 7:30 PM. 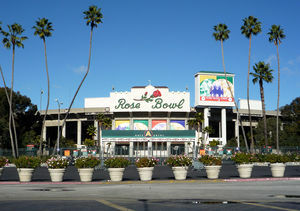 Purchase LA Galaxy Tickets Vs Manchester United Tickets in the Chevrolet Cup at the Rose Bowl on Wednesday 23 July. You can visit Dani Kelly on G+. Barry’s Tickets is not affiliated with the MLS, LA Galaxy or Manchester United. The Doughty Factor: While Ryan McDonaugh of the Rangers has put himself in the conversation of the top defenders in hockey, the most dominant defenseman in this year’s playoffs is Drew Doughty of the Los Angeles Kings. Doughty was the top defenseman in this year’s Sochi Olympic Games, winning a gold medal for Canada, and he’ll have an opportunity to pull off the Gold Medal/Stanley Cup title if the Kings can defeat the Rangers. Doughty is a leading candidate for this year’s Conn Smythe Award as the top playoff performer. A true two-way star, Doughty can dominate a game both offensively and defensively. Like all great players, he’s known for scoring big goals at critical times. In 21 postseason games, Doughty has 16 points. Doughty has formed a winning combination with second-year player Jake Muzzin. King Henrik: It’s unusual for Jonathan Quick to be seen as the lesser goalie in a playoff series, but that’s the case in this year’s finals. While Quick has played well overall in this year’s playoffs, he’s had his ups and downs at times, including several stretches of rough play versus the Blackhawks. While Quick’s overall numbers don’t compare to his epic stats in the Kings 2012 title run, he’s helped the team go 7-0 in elimination games this playoffs. Quick opposite number, Henrik Lundqvist, has added to his legend with an outstanding playoff performance thus far. In twenty games this postseason Lundqvist has 2.03 goals against average and a .928 save percentage. Like he has his entire career, Lundqvist has been a dominant force in net. The Kings will have the firepower advantage in the series, but Lundqvist can be the great equalizer, with the ability to steal games. 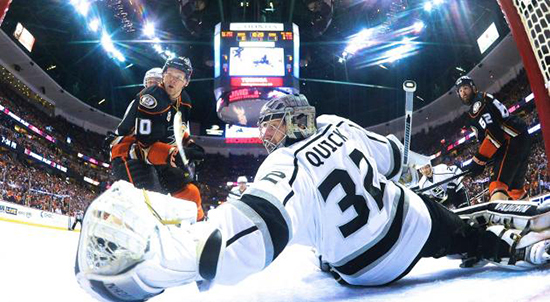 If Quick can match the Rangers goalie shot for shot the Kings will be in good shape. Home Ice Advantage: The Kings will have the rare luxury of home ice advantage versus the Rangers, something they didn’t have during their 2012 run or during this year’s run. While they haven’t been dominant at STAPLES Center at times, witness two losses versus Anaheim in the second round and a loss to Chicago (Blackhawks Promotional Schedule)in game six, the Kings will have the advantage of a boisterous home crowd to set the tone. The Kings home ice advantage may offset the additional amount of rest the Rangers have after eliminating Montreal in six games. When New York visits the STAPLES Center on Wednesday they will have had three extra rest. Of course additional rest doesn’t necessarily translate to quick starts. If Los Angeles can start quick and win two at home they’ll be in a good position to shorten the series with a win in New York in game three. Marian Gaborik: While the rest of the Kings team struggled at times in the opening round versus San Jose and the first few games versus Anaheim, the Kings were receiving a dominant performance from veteran Marian Gaborik who they acquired from the Columbus Blue Jackets at the trade deadline. Gaborik spent a handful of years in New York as a Ranger before he was dealt to Columbus as part of the Rick Nash trade. The finals will give Gaborik a chance to win his first cup, while exacting some revenge on his former team. Gaborik has formed a dynamic partnership with Anze Kopitar this postseason. Kopitar, Jeff Carter and Gaborik are three of the top four scorers in this years postseason, indicative of just how dominant the Kings offense has been at times. So who wins? The Kings have shown an extraordinary amount of mental toughness in overcoming deficits to win all three series, with game seven victories on the road in all three games. Offensively they’ve had an extra gear this postseason, becoming a truly dynamic offense. Los Angeles has an advantage over the Rangers in every facet of the game other than goaltending. While Henrik Lundqvist has an advantage in goal, Jonathan Quick can dominate games when playing up to his potential. The Rangers have made a nice run, but it’s been in the weaker Eastern Conference. Their victory over Montreal in the Eastern finals was helped greatly by the Carey Price injury. The Kings are simply the better team. You can purchase LA Kings Tickets for all home and away games! All Kings Tickets come with our 100% guarantee to be authentic and delivered to you on time! With an office next to the Staples Center you can even go just minutes before the game starts and pick up or purchase Kings Tickets.